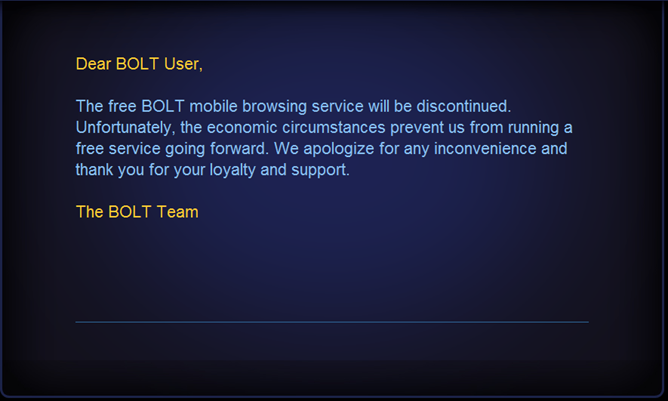 The news came earlier today as BOLT's listing in the Android Market vanished, and the app's website closed down, leaving only the above note. 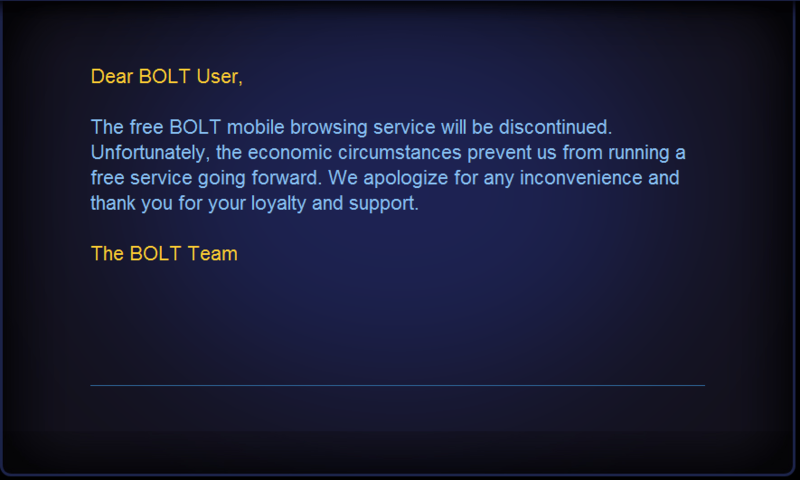 While BOLT may not have been the most robust browser solution for Android, it's always a little sad to see an app go like this, especially considering the fact that BOLT debuted only a couple of months ago. 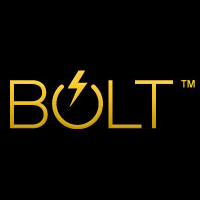 That being said, there are plenty of other alternatives available for users who want a little more from their mobile web experience, and BOLT users won't have a hard time filling the gap.